His Divine Grace A.C. Bhaktivedanta Swami Prabhupada is widely accepted as the world’s foremost author and scholar of the Vedic Teachings. 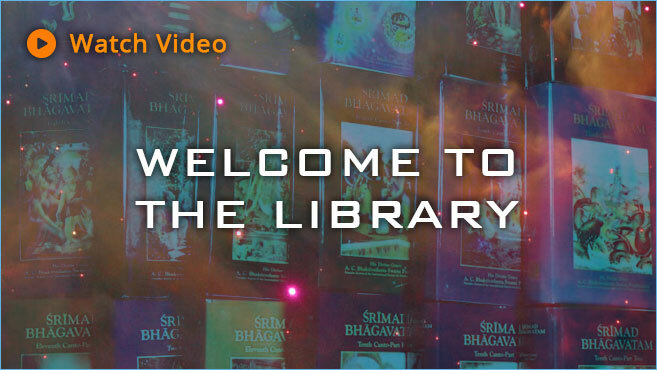 The heart of the Bhaktivedanta Vedic Library is a comprehensive offering of His books and teachings presented in audio form, available to be streamed or downloaded, free of charge. The Bhagavad Gita is the essence of all spiritual philosophy, spoken 5000 years ago by Lord Krishna for the benefit of all livings beings. In a direct conversation with His friend and devotee Arjuna, Lord Sri Krishna reveals Himself as the Supreme Personality of Godhead and in so doing relieves Arjuna of all of life’s questions based on illusion and doubt. Those who understand the knowledge presented in Bhagavad Gita and apply it to their lives will find happiness in their true purpose of life; living in loving service of God with faith and understanding. Just try to learn the truth by approaching a spiritual master …The self-realized souls can impart knowledge unto you because they have seen the truth. 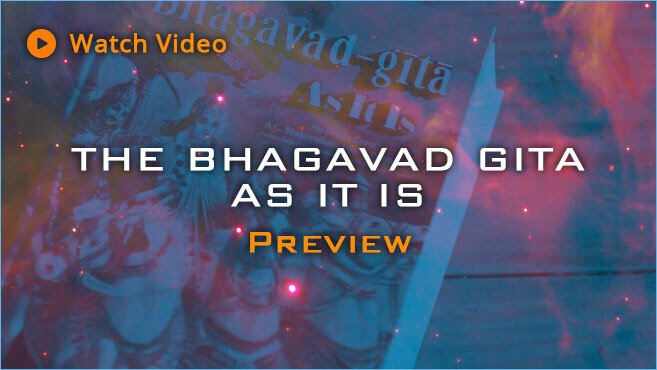 The Bhagavad Gita is the definitive guide to self-realization. A transcendental literature spoken 5000 years ago from the Supreme Personality of Godhead for the benefit of humanity. It is meant to relieve us of unnecessary pain and suffering, resulting in complete deliverance from the cycle of birth, death, disease and old age. Sri Chaitanya Charitamrita is the definitive work on the life and teachings of Sri Chaitanya Mahaprabhu, an incarnation of Krishna who appeared in India five hundred years ago. Lord Chaitanya introduced the chanting of the holy names of God as the prescribed method of God-realization for our time. In ten short years at the age of almost eighty His Divine Grace A.C. Bhaktivedanta Swami circled the globe twelve times establishing a worldwide movement. During this time he wrote and translated more than 80 books based on the Vedic literatures of ancient India. Bhakti Yoga Essentials are designed to link one’s body, mind, intelligence and works to the Supreme by constant acts of love and devotion. The Veda’s declare that one who acts in this way is a liberated soul, even within this material world.